Are the Grand Floridian Villas worth their cost? How to get them for less. Considered Disney World’s signature resort, The Grand Floridian has a lot of charm. But is it a luxury resort? The Cooler was a 2003 film starring William Macy, and he played a down-on-his-luck sad sack employed by casinos to loiter near the winning to turn their luck around. Disney World does the opposite of this casino practice. They employ garrulous midwestern seniors who weren’t really ready to retire from their sales jobs to greet you at the Villas at the Grand Floridian breezeway with a firm, welcoming handshake. Gushing with sincere hospitality, “We’re so glad you’re here. Welcome home,” the greeters shook my husband’s hand four times. They are not bell or valet staff. They merely provide that nostalgic flavor of service that the Walt Disney Corporation created for you. 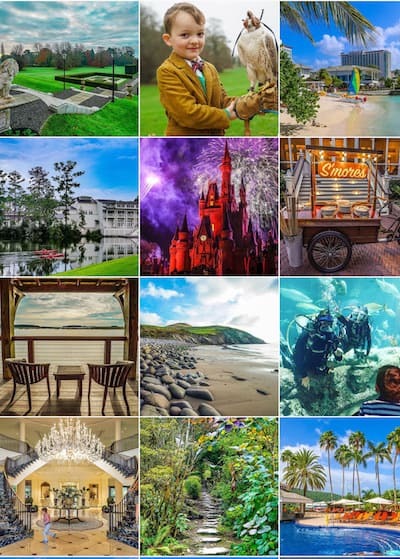 They are the men of Mayberry, personifying the legend of Walt, the man, and creating a fantasy homecoming experience for those willing to spend big with the Mouse — the high rollers, if you will, of Lake Buena Vista. 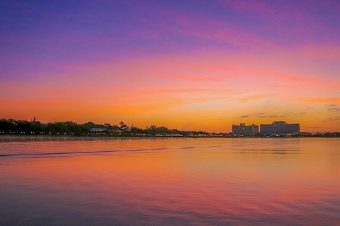 The Grand Floridian is a Magic Kingdom-area resort on the monorail, and it’s considered Disney World’s premiere option. The main lobby of the Grand Floridian sets the standard for all lobbies at Disney World. One of many incredible turret suites at the Grand Floridian. But, for those travelers well acquainted with luxury hotels, staying on Disney property will both delight and disappoint. Read our cautionary words on whether staying on or off site is right for your accommodation expectations if you are a 5-star kind of traveler. and steer you to the right restaurants for your family. I’ll share what VIP experiences are worth every penny and show you what to skip. 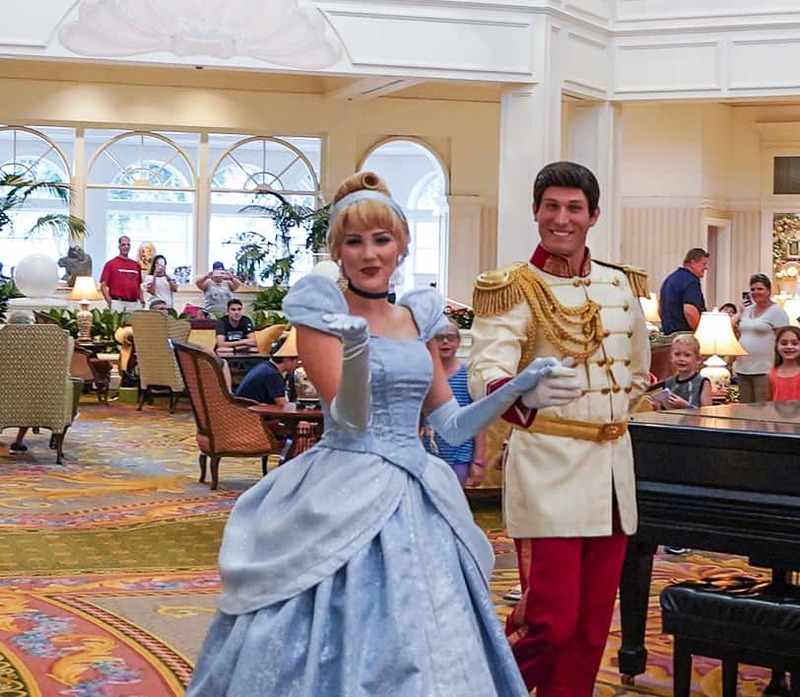 Cinderella and Prince Charming hold court in the lobby for a dance most afternoons. Each Disney World resort has a theme. The Grand Floridian celebrates the Victorian and Edwardian stories of Mary Poppins and Alice In Wonderland with a little Dumbo sprinkled here and there. Cinderella and Prince Charming make regular appearances, as well. Cinderella touches are throughout as are Mary Poppins, Peter Pan, and Alice in Wonderland. Pianists play the large grand in the center of the lobby, too, during the day. 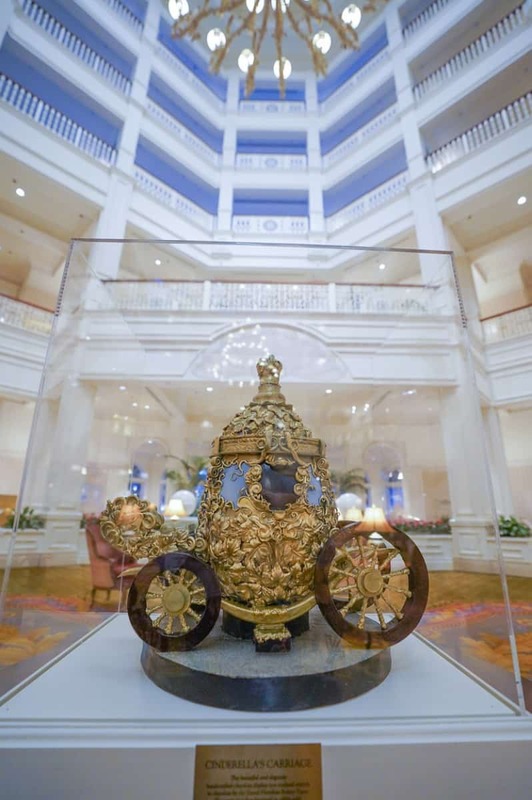 It’s Disney’s most magical hotel lobby. Classic Disney characters are tastefully woven into the design in marble inlays, topiaries, and murals, and it is fun to send your children on a scavenger hunt for the different Disney characters they can find. The pianist at the Grand Floridian lobby. The lobby of the Grand Floridian is spectacular, though everyone has a favorite. The Villas are in their own building connected to the main hotel by a covered walkway in one direction or one can reach the pools quickly in the other. Our view of the monorail was not troublesome, as it’s very quiet, but in a sleepy state one morning, I pulled the drapes open and had its passengers wave good morning to me. I was thankful I was wearing a robe. The Villas at the Grand Floridian lobby. More Mary Poppins references at the Villas at the Grand Floridian lobby. The very well designed bathrooms had silent, sliding doors, and when the commode doors were closed, the bathroom ventilator and a nightlight came on automatically. The thoughtful bath amenities included after sun balm and a revitalizing foot rub for tired park feet. 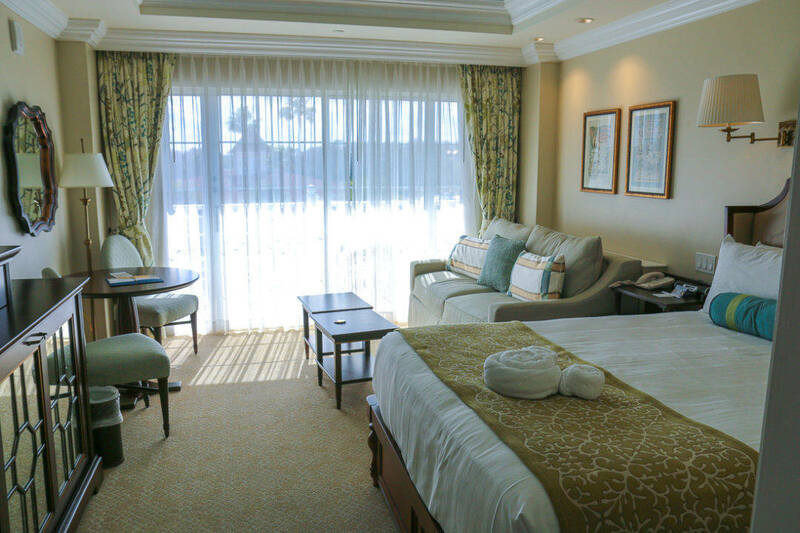 The Grand Floridian Villas offer studios with a queen bed, queen sleeper sofa, and a twin day bed. The extra moldings, better bathrooms, and design details make these rooms feel more luxe than the regular hotel rooms. My son was excited to see the Dumbo bed. The beautiful Dumbo murals inside the spare twin bed. Here’s what was disappointing. There is a cleverly concealed twin bed in the entertainment stand with a beautiful Dumbo mural painted inside it. The mattress was incredibly hard, and no one in the family could use it. It’s a shame the mattress wasn’t the same as their sleeper sofa. Disney Vacation Club sleeper sofas found throughout any vacation club property are the best in the hospitality industry. They are a triple panel memory foam mattress with no springs are support bars to feel. The kitchen was stocked with paper plates and napkins, plastic utensils, which I suppose is more appropriate given there was no dishwasher, and a Mr. Coffee with Joffrey’s coffee. If you are shopping for a richer cup, the full Victoria & Albert’s variety that Joffrey’s makes is the richest, darkest roast. It’s available at their full store at Disney Springs. The internet kept having problems during our stay, and staff told me that the entire hotel system was down as well. This became a problem for us when we tried to cancel restaurant reservations approaching the 24-hour window. After sun balm and foot gels are a nice touch. The split bathroom of the villas at the Grand Floridian. The kitchen includes mini fridge, toaster, microwave, and coffeemaker. Our view of the monorail from our balcony. Our most recent stay at the Grand Floridian was club level in the main building. We requested a deluxe king that faced the marina with a direct view of Cinderella’s Castle framed outside our window. This deluxe king in the main building is a Grand Floridian club level room. The resort rooms are not as nice as the newer villas. One feature I find perplexing is that the double sink vanity area of the bathrooms at this hotel have no door. There is a door separating the commode and bath only. Hand washing and tooth brushing must be very quiet if others are still sleeping. 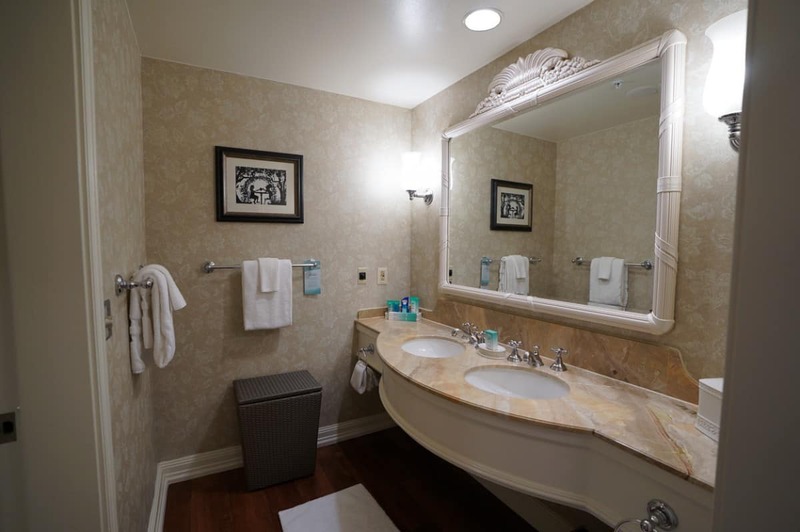 The vanity area at the Grand Floridian resort rooms have no door to separate it from the main room. The view we had was magnificent to watch fireworks from our balcony, and we appreciated the energy from being in the main building with its fabulous lobby. The Grand Floridian Deluxe King Firework View Room overlooks the marina and Cinderella’s Castle. The club lounge served a hearty breakfast buffet which we all enjoyed. The afternoon tea, evening appetizers, and desserts weren’t as impressive. A chef comes to prepare Mickey waffles for breakfast, so they are fresh, but I would much prefer the chef come in the evening for hot appetizers like the club lounge at the Boardwalk Inn. The Mad Hatter Splash Pool is a favorite hypnotic attraction. There are three pool areas at the resort: a pool with water slide and organized activities for children, a spectacular Mad Hatter splash pool, and the main pool set amidst the room buildings of the hotel. The courtyard pool tends to be most crowded, so it is the one we avoid. Our favorite pool is the water slide pool which doesn’t draw the same crowds. We had a memorable day swimming, participating in Disney trivia poolside, and building sand castles at the beach. We were one of the beaming families you see in the Disney brochures. Families can also rent a poolside cabana at the Grand Floridian. (The Contemporary is the other resort with this option.) Advanced reservations are suggested so that families benefit from a snack basket and fruit tray included in the cost. Walk-up reservations won’t receive those. 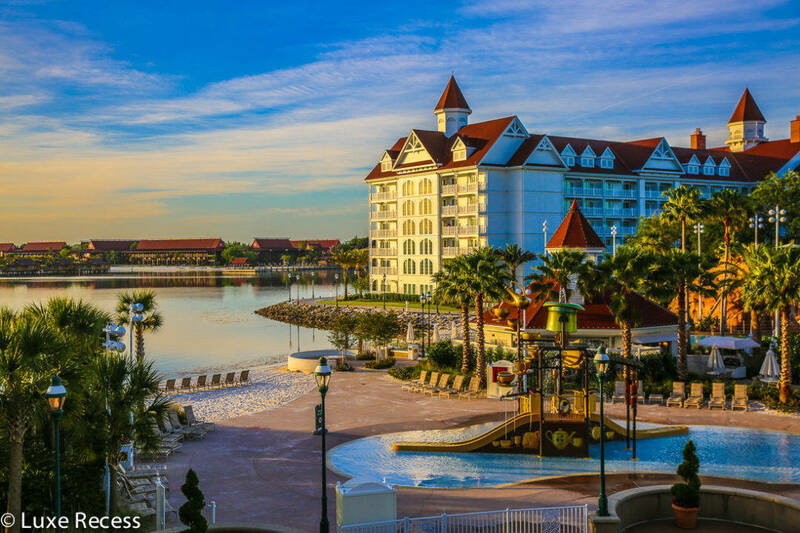 The Villas of the Grand Floridian are just as close to the beach and pools as the other buildings at the resort. There is an arcade on site, and a few additional family options at the restaurants. 1900 Park Fare offers an afternoon tea party at 2PM for those 4 to 12 with Alice and the Mad Hatter for cupcake decoration and crafts. For a more formal and costly tea experience, the tea salon hosts the Perfectly Princess Tea. Boys and girls aged 3 to 9 receive a variety of princess gifts or swords and shields while experiencing a more full tea service along side their parents. Princess Aurora makes an appearance for photos. 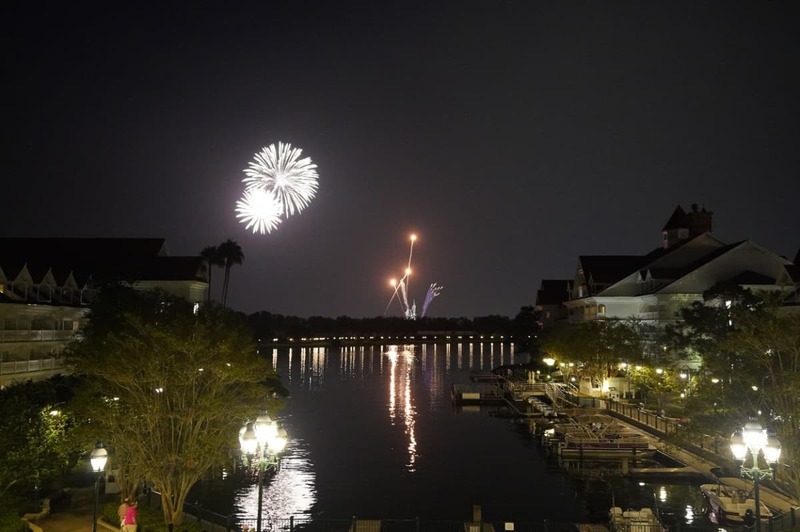 The marina offers boat rentals and private fireworks cruises that give groups a complete tour of Bay Lake before the show begins. The Grand Floridian yacht hosts 18 on a private fireworks cruise. I did use the spa and get my nails done. The spa feels small and simple by luxury hotel standards, but my nail service was excellent, and I enjoyed how long the work lasted. The fitness center is adjacent, but empty. Most parents won’t use their packed gym clothes while visiting Disney World with kids. I still continue to pack them each trip, and they remain unworn. This is called wishful packing. 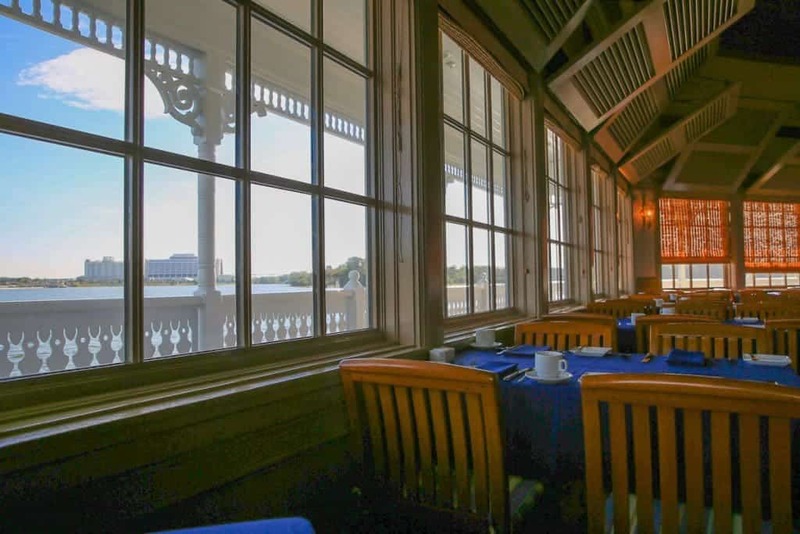 The Grand Floridian houses many of Disney’s most popular restaurants that require advanced planning: Victoria & Albert’s (a fifteen year Five Diamond Award winner), Narcoossee’s (with Magic Kingdom firework views), and the Garden View Tea Room. 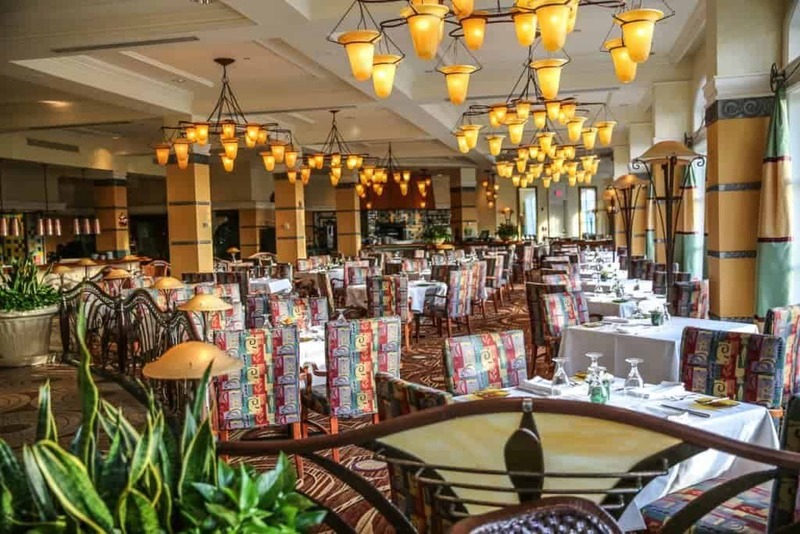 Citricos and the Grand Floridian Café will have more availability for last-minute meals, but this is Disney World, and families in the know have most of their dining reservations planned in advance. Gasparilla’s, the cafeteria-style restaurant near the arcade had nothing my husband and I found appealing, since we tend to avoid junk and processed foods. 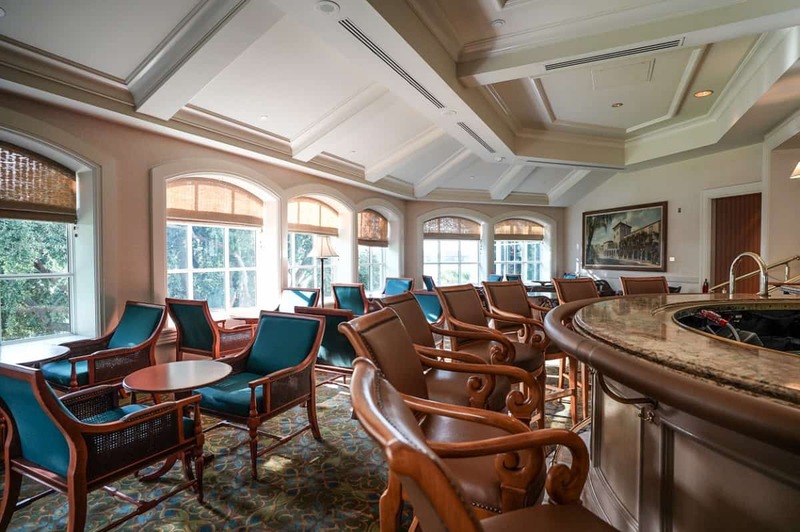 Mizner’s Lounge offers light bites and cocktails immediately behind the Grand Floridian’s balcony lobby band. 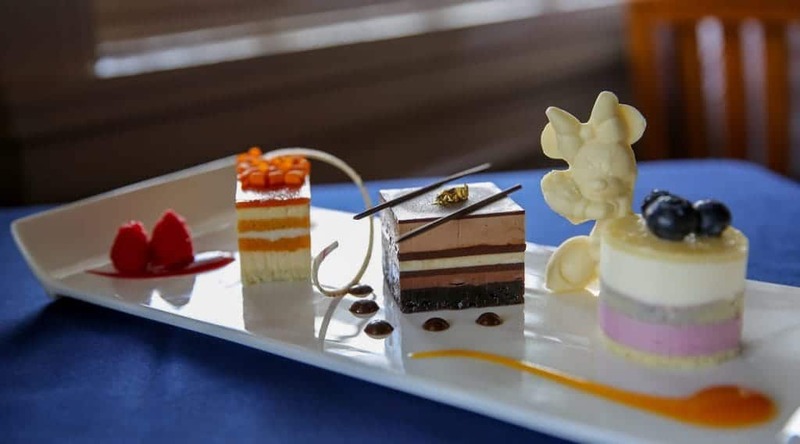 But Victoria & Albert’s former chef Scott Hunnel has recently revamped every Grand Floridian restaurant menu as he was promoted to resort chef, so I would expect a better option next visit. My daughter and I had afternoon tea, and it was quite good. We found our favorite casual meals poolside, but the menu was still very limited. Strawberries and cream at the Garden View Tea Room at the Grand Floridian. Beautiful swan éclairs at the tea at the Grand Floridian. We had to cancel our breakfast at 1900 Park Fare, but I was told by the staff to book a table right at 8AM, as there is a charming opening ceremony each morning. Narcoosee’s offers excellent and creative fish dishes in a casual country club-like atmosphere. The fireworks show soundtrack is piped into the dining room each night— just as they are at California Grill. Narcoosee’s menu focuses on seafood and offers waterside dining in what feels like the casual grill room of a Florida country club. I have had two excellent dinners here, but I didn’t have my camera. When Narcoosee’s began a Sunday brunch, I was eager to try it. 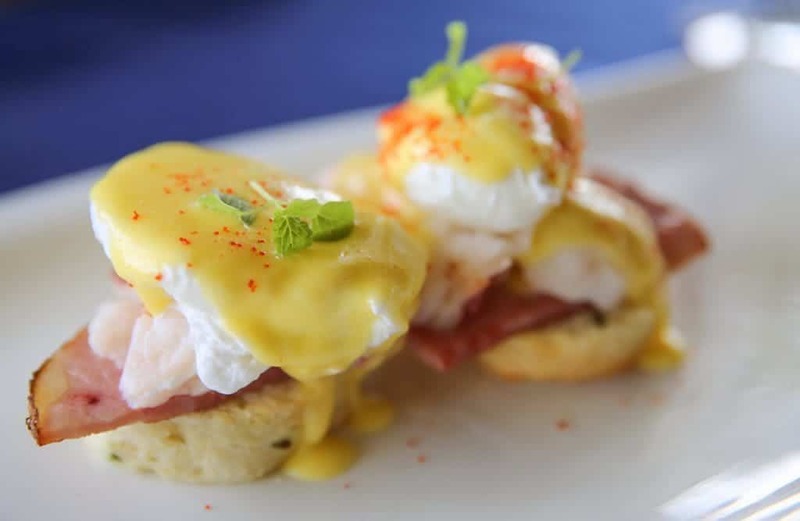 Brunch is offered on select Sundays overlooking Bay Lake. My brunch began in the most promising way. 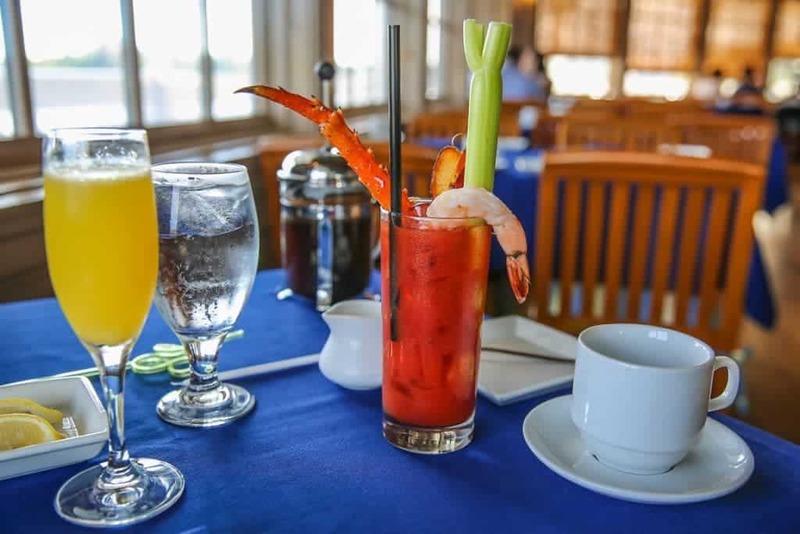 French-pressed coffee, a complimentary mimosa, and the house special Bloody Mary adorned with a crab leg and jumbo shrimp. Now that’s a Bloody Mary! The pastries course is where things started turning South. The pastries were very mass-produced, and not really different than that pastry plate from Be Our Guest. I was hoping that the Narcoosee’s brunch would like up to the California Grill‘s brunch, but it does not, despite costing the same. Come on, Narcoosee’s, a few house made muffins can’t be too hard. 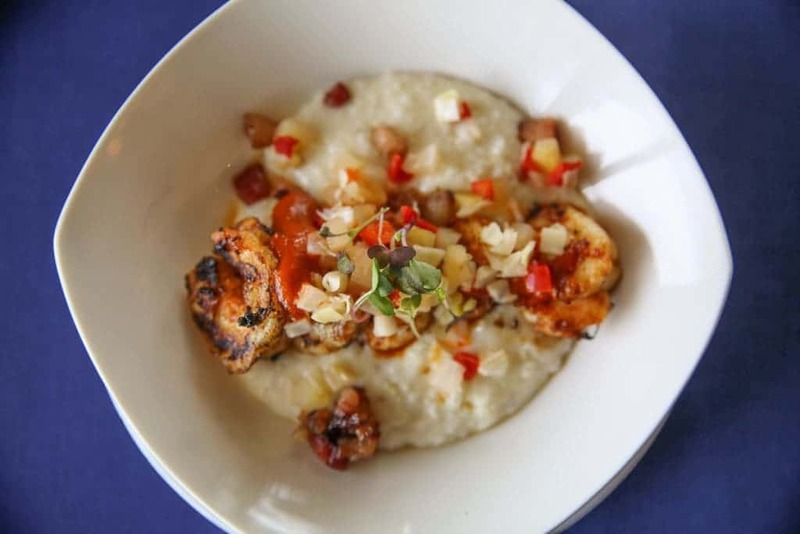 The shrimp and grits got the meal off to a good start at Narcoossee’s. I chose the shrimp and grits, which was delicious, and the very disappointing lobster eggs Benedict. I live in Boston. I know lobster meat. This lobster meat ruined what would have been a fine dish; it was over salted to preserve it, and the meat was slimy and chewy. Stick with seafood entrées more local to Florida, and you’ll enjoy your meal. The lobster meat was not fresh, which ruined what would have been a nice entrée at the Narcoossee’s Brunch. The dessert tray was adorable, complete with Minnie Mouse in white chocolate and several other sampler sized desserts. They were all very good. The service was flawless, so if you are considering this meal, be sure to avoid the lobster, and you’ll enjoy it. 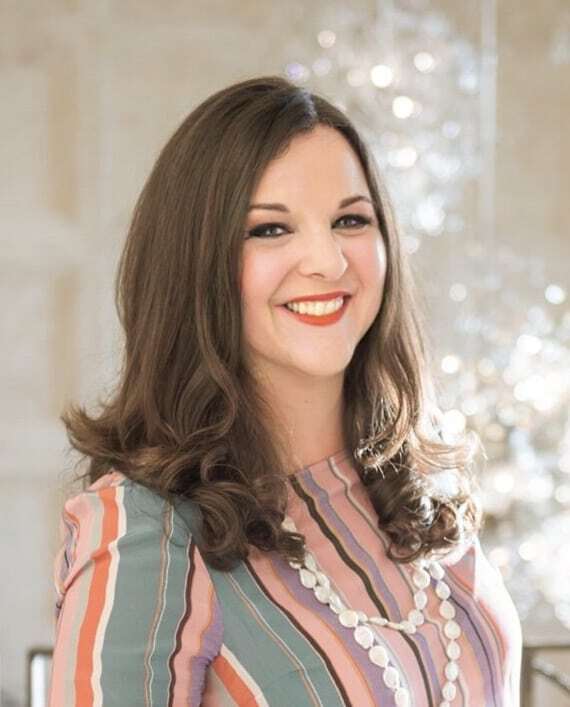 Citricos is a best option for those who cannot get a reservation at Victoria & Albert’s who also are dining with children. There is a lounge area that works for those with no reservations as well that serves the full menu. 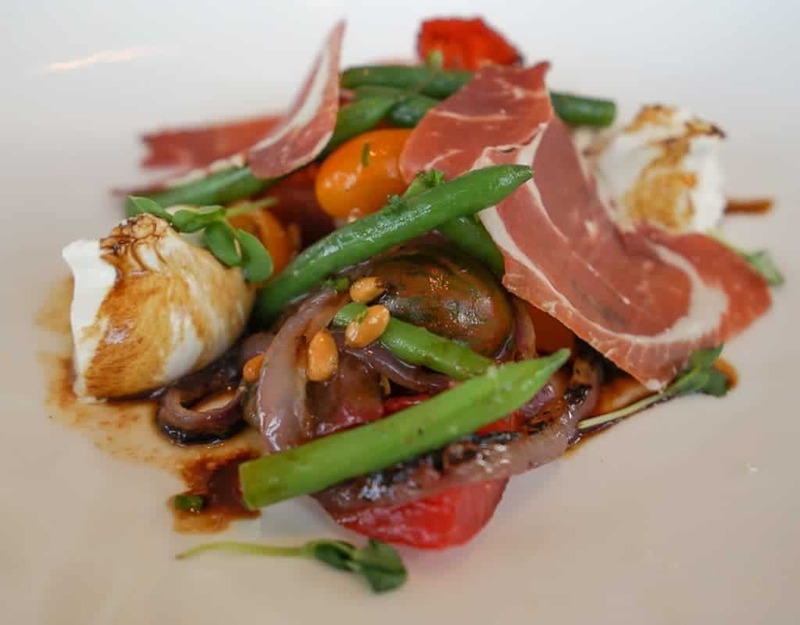 Citricos is a great foodie option for last minute planners, as it often has last minute reservations available. Despite the very dated interior design of the restaurant (Disney, please give this restaurant the update it deserves!) that makes you feel like you are dining in 1995 in a Marriott ballroom near Lake Las Vegas, the food was excellent. The menu for both adults and children was varied and offered several gluten free and other options for those avoiding various allergens. 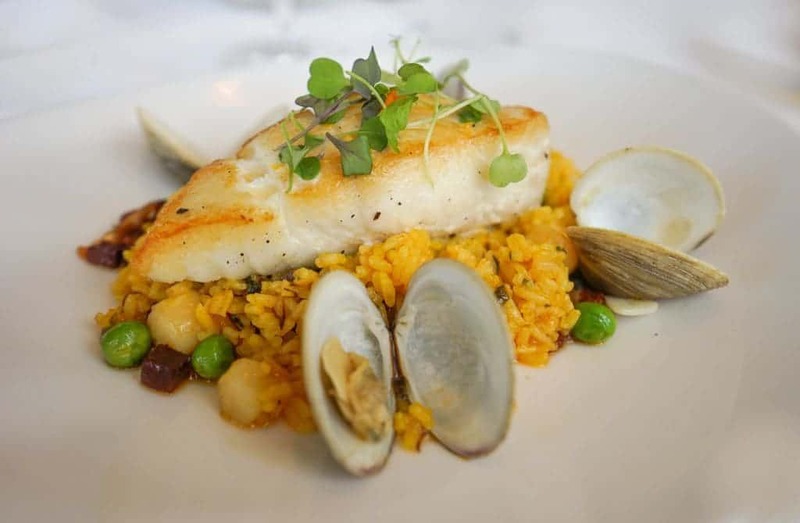 Halibut with clams, fresh peas, scallops at Citricos at the Grand Floridian. 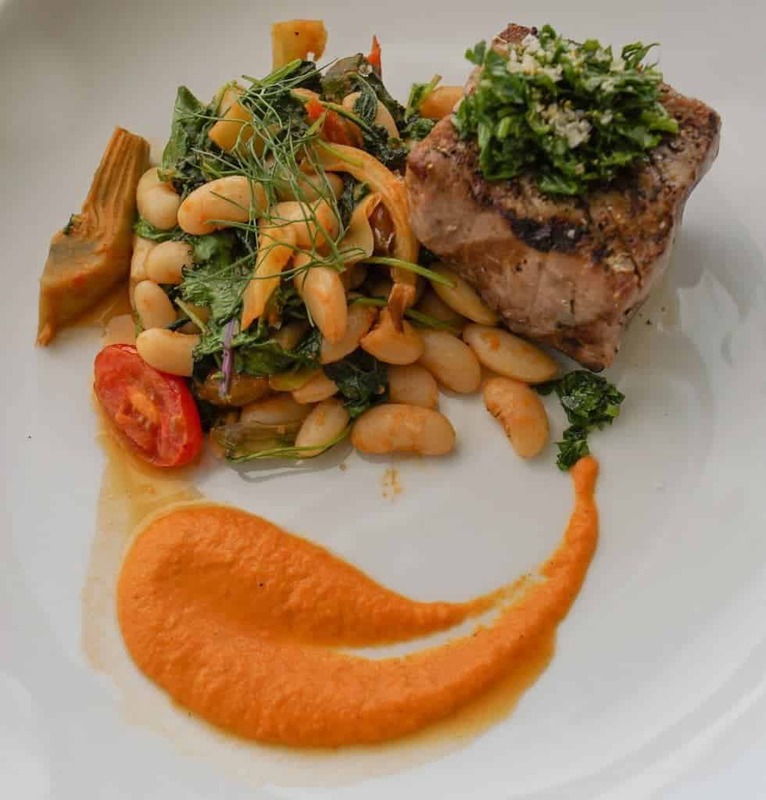 A beautiful tuna steak and white beans from Citricos is Disney Dining at its best. Now that we have tried both Narcoosee’s and Citricos with our kids for dinner, we would probably return to Citricos first, unless we had reservations during the fireworks show. The Grand Floridian is on the monorail system, in between the Magic Kingdom and Polynesian Village Resort stops. Many people enjoy this convenience and justify the extra expense for the easy park access. That made sense to me, too, but once there, the monorail was down much of the time, and we were left with using Disney bus services (that were slow) just like the budget resorts for half of our transfers. Die-hard Disney families love the Contemporary Resort because Magic Kingdom is reachable on foot. 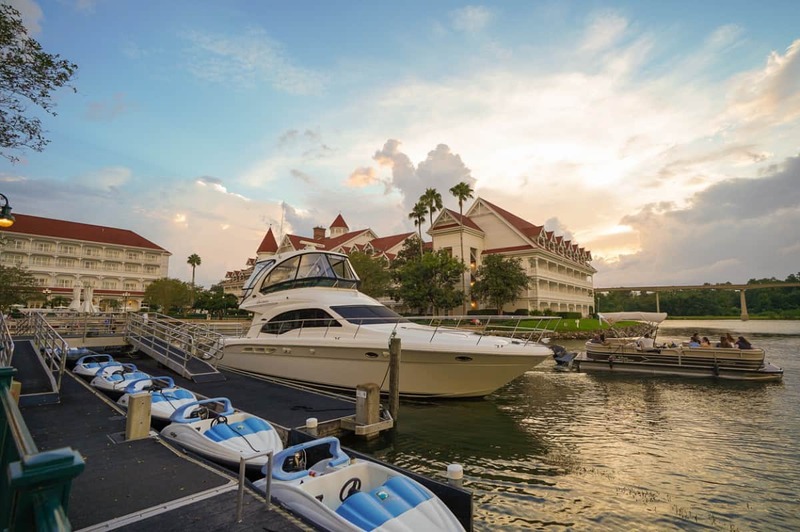 Boat transfers are a lovely but unhurried way to reach Magic Kingdom from the Grand Floridian. 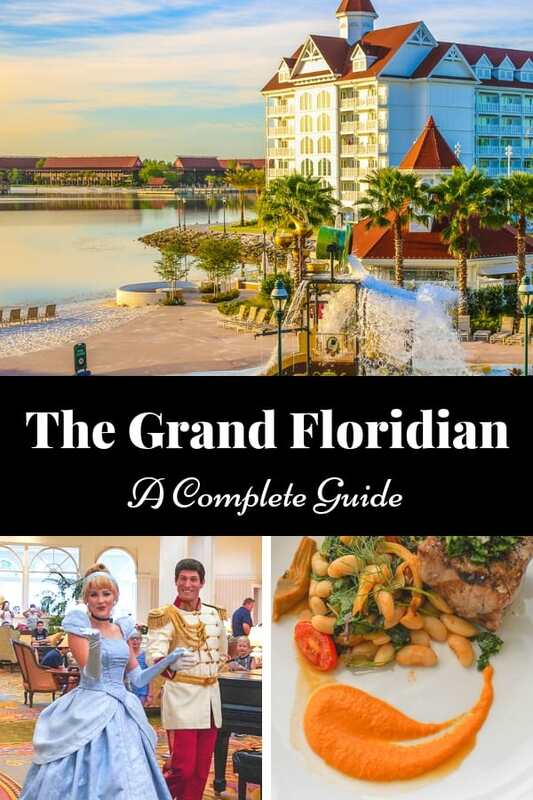 If you are a Disney-loving family who spends most of your vacation time at Disney parks and resorts, the Grand Floridian villas are worth experiencing at least once. There’s a way to save as much as 50% off of a stay if you book a villa. 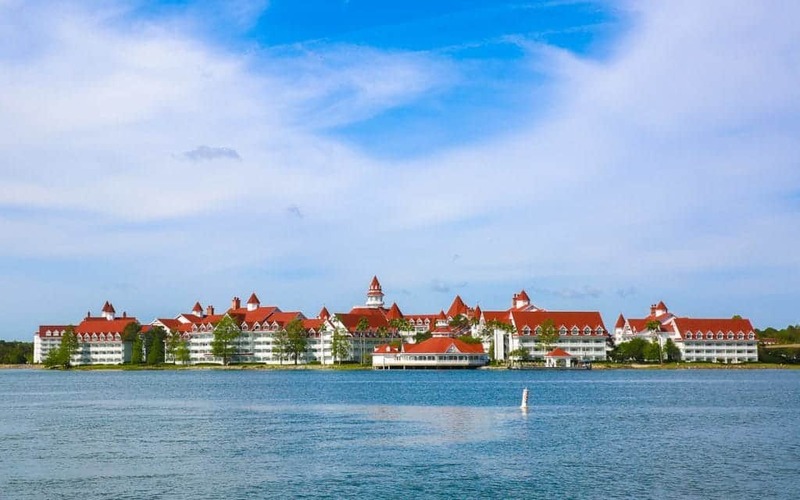 The Villas at the Grand Floridian Resort and Spa are part of the Disney Vacation Club, Disney’s version of timeshare units, but it’s still available for the public to reserve. Unfortunately the Disney website will charge an upwards of $700 for the smallest studio units. I can’t say I find them worth that price. Those in the know reserve DVC units by renting points from DVC owners directly or through a service. We used David’s Vacation Club Rentals, so our nightly rate for a studio was a much more reasonable $300 per night, though the rates will vary by season. 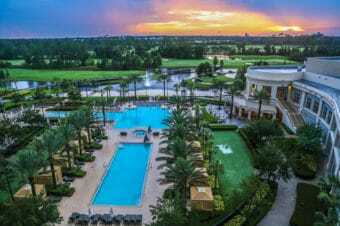 Our experience with David’s Vacation Club Rentals was seamless, and at this lower price point, I can enthusiastically recommend the villas while staying at the Disney World Resort. 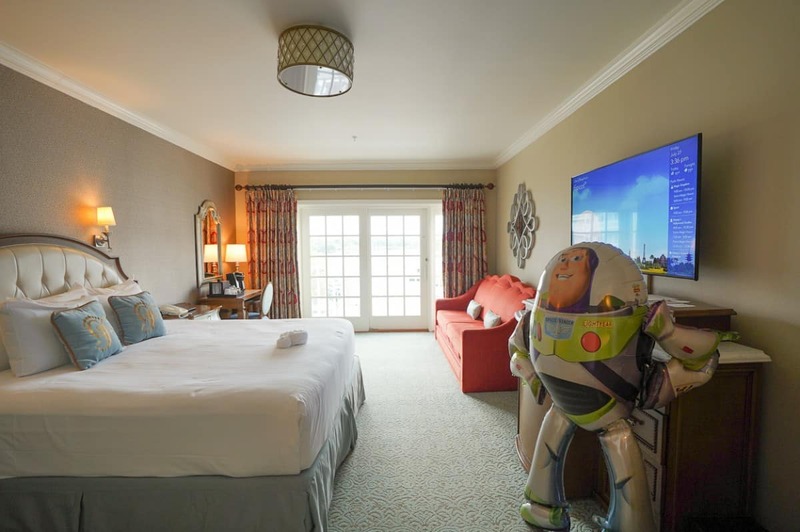 Given that the Vacation Club rooms at the resorts are almost always newer and nicer than the hotel rooms, this is the best way to stay deluxe at Disney World while saving money. David’s works as an intermediary between you and the DVC owner who is selling you points. The owner doesn’t get paid in full until your check in date, so David’s Vacation Club Rentals works like an escrow account to protect you. Once booked, you can still add Magical Express reservations or Disney dining plans, and they can walk you through that process. You can get a guess as to how much you will save by using David’s point calculator on your stay dates and then compare that cost with booking the villa units directly. You must pay a refundable deposit for them to query owners for your stay, and they look at first, second, and third choices you list. When they have been unable to book me something, they refunded my deposit instantly. If that happens, you can call to speak to an agent directly who can tell you what is available around your original query if you want to keep trying. I have always gotten my deposit refunded immediately, and the agents have typically found alternate options for my dates if my first choices weren’t available. The only drawback by using David’s service is that you will not receive daily housekeeping without a fee, and you must commit to your travel dates. If, however, you book the villas directly with Disney as a hotel guest (at rack rates), you will receive daily housekeeping. 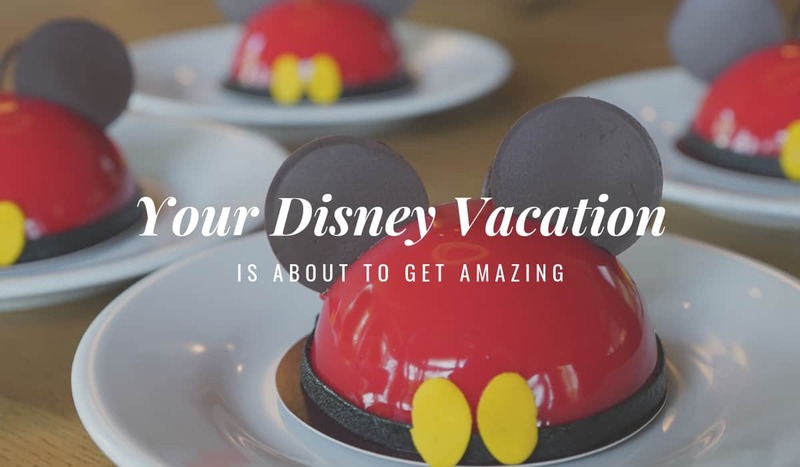 If you are looking for a true five-star or VIP experience at Disney World, I recommend using My VIP Tour to book and arrange your hotel and travel as well as provide private guides in the park. They work with the most discerning clientele and can take care of your entire vacation. I spoke with several companies before selecting them, and we had a great experience using their VIP Tours in Magic Kingdom. They take pixie dust to a whole new level. This post was sponsored by MY VIP Tours. 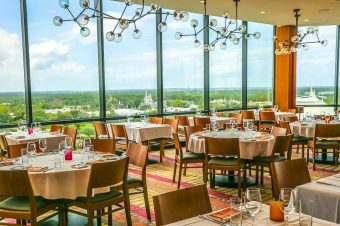 Disney’s Contemporary Resort & California Grill: Disney World’s Best? We stayed at Disney Aulani this year and it was one of our favorite hotels. We’ll need to add the Villas at Dieny’s Grand Floridian to our 2016 list. Glad to know what to expect should we ever want to stay at the Grand Floridian Villas. Thanks for sharing your honest opinion! Greatly appreciated. Your kids are darling and your photos are gorgeous. Bummer about the bed. Indeed, it’s a good thing you were wearing your bathrobe. The monorail is very close! And, yes, the workout clothes=wishful thinking. I love that. Great review, it’s always nice to know as much as possible before choosing a hotel for vacation. As a family of 5 we have stayed off property twice, but look forward to staying in one of the Disney resorts in the future. This hotel looks wonderful from the photos but, like you, I would have been really disappointed by the paper plates and napkins. If a hotel bills itself as high-end then they can do better than plastic cutlery! Looks like a lot of fun though. Obviously I am not in the know because I had no idea you could rent points from DVC owners! You learn something new every day. The resort is gorgeous, your kid’s pics are so cute, I am definitely going to look into staying here on our next visit! Wow this looks amazing! I also love a nice hotel, and this looks like it would be the perfect spot to stay during a Disney vacation. I remember seeing the property across the water, but have no idea what the villas looked like! Grand indeed. And so close to the parks. I’d stay here! Wow. Pretentious and snobby. Congratulations on those useful skills. P.S. You only get daily mousekeeping if you reserve the villas paying full rack rate as if they were regular hotel rooms. DVC owners and point renters like you do not.